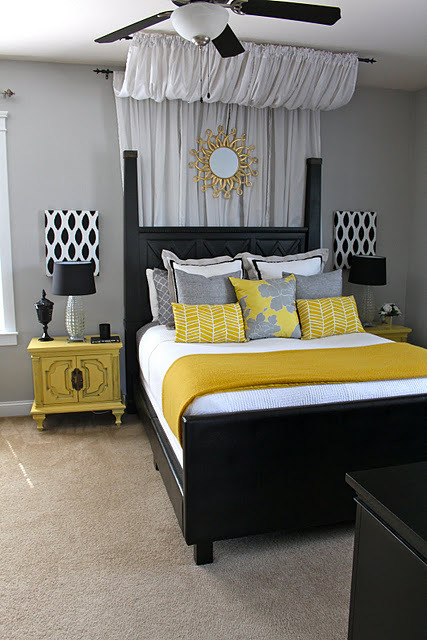 Ansley Designs: Trend Alert: Black, Grey and Yellow! 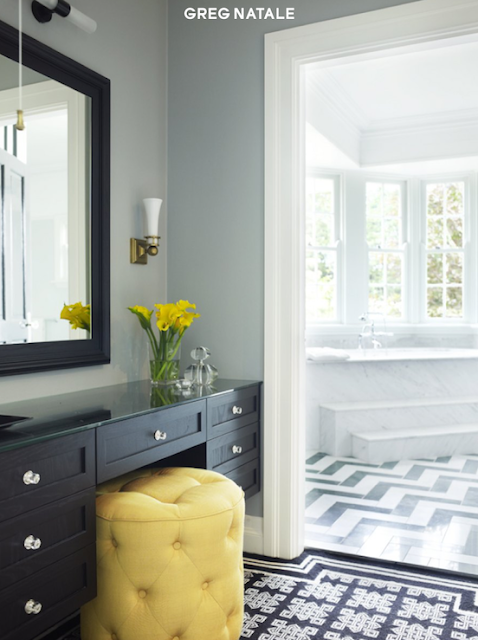 Trend Alert: Black, Grey and Yellow! I'm guilty. I frequently succumb to trends, even if at first I don't like them - they tend to grow on me. The latter is not the case here. 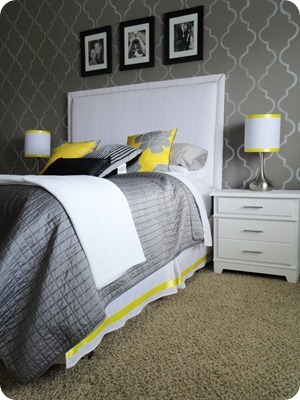 I immediately loved the trendy yellow, white, grey, and black color schemes that I've seen all over the intra-webs! However, yellow has never been a color that I gravitate toward. For example, I recently visited my awesome sister in Texas who just bought her first home. It is cute as a button, by the way. She was walking me through her neutral color palate and one of my comments about her paint choices were "It's too yellowish". 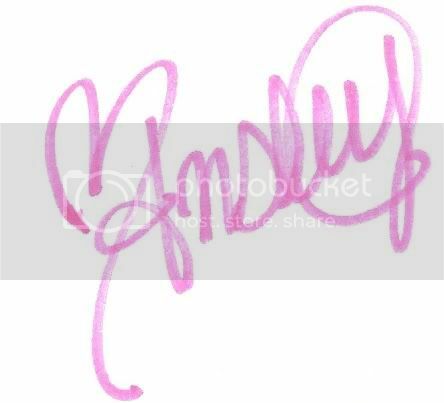 Yet here I am, lusting over the very color I turned my nose up to! It all started with this photo of a washroom that I stumbled across at The Thriftress. 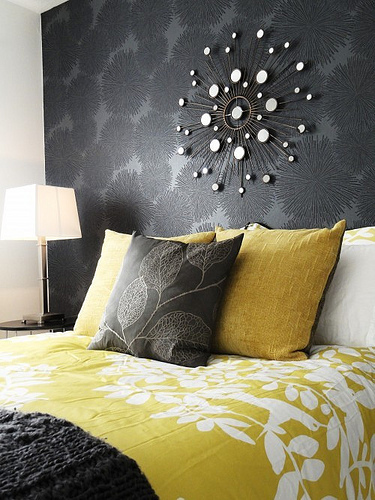 Here are some inspirational yellow and grey decor photos! Enjoy! Which one is your favorite? I think mine is the one with the fabric behind the headboard!!! 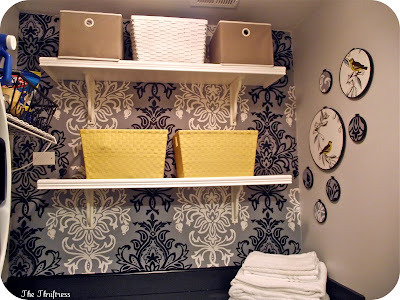 I foresee that one possibly being used for my master bedroom inspiration!